You’ve planned your trip and paid for it, now you deserve to rest assured that if something goes wrong you are covered! We all know that life is full of unexpected circumstances. Whether you are looking for coverage to pay the cost of hotel reservations, missed flights, inclement weather or if you need medical attention before and while you are away, a travel insurance policy can help protect your wallet. There are many different levels of coverage. There is sure to be one that fits your need, Travel Guard's Choice Plus travel insurance makes sure you are covered! Have questions about the plan, call us at 1.800.826.1300 and speak to one of our travel insurance experts. 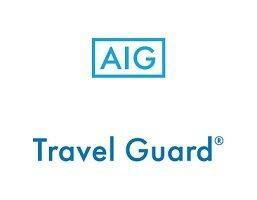 For information & description of coverage on our Travel Guard's Choice Plus travel insurance plan, please CLICK HERE.